Pictures of Ford Fusion Energi. Does anyone else think the Fusion Energi looks a lot like the Tesla Model S? Or is it just me? Nope! It's not just you! I agree that the front looks Aston-Martin ish, which is in line with your Tesla Model S comment because the Model S was designed by a former Aston Martin designer. Further to this discussion, there is an interesting article on LA Times that talks aboud the 2013 Ford Fusion incorporating European flair. It talks about how the Fusion is in a car segment where form follows way behind the function of the car, and vehicles have a clear split between 'greenhouse and trunk'. 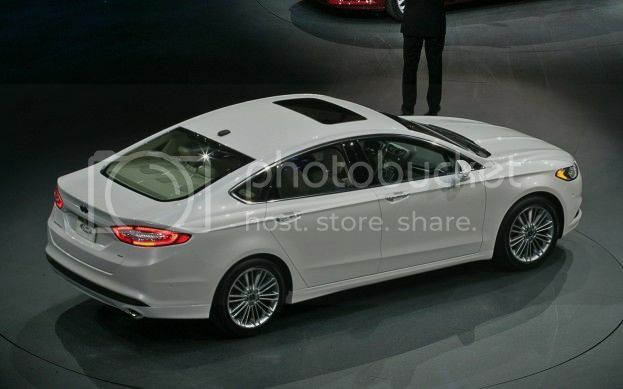 The new Ford Fusion Energi has a rear window that gently slopes toward a short trunk giving a sleek, elegant look. The Aston Martin influence shows in the open-mouthed chrome grille, flanked by a pair of squinting headlights. The Maserati homage is in the taillights, with stretched red lenses surrounding a clear insert in a shape reminiscent of a GranTurismo. one more picture of Fusion Energi. Plenty enough space for kids and their backpacks! The Ford Fusion Energi actually does kinda look like the Tesla Model S. I think the Model S is a little bigger than the Fusion Energi, though. This red color is really something, I love it and the best part is that it fits perfectly with the Fusion Energi design. 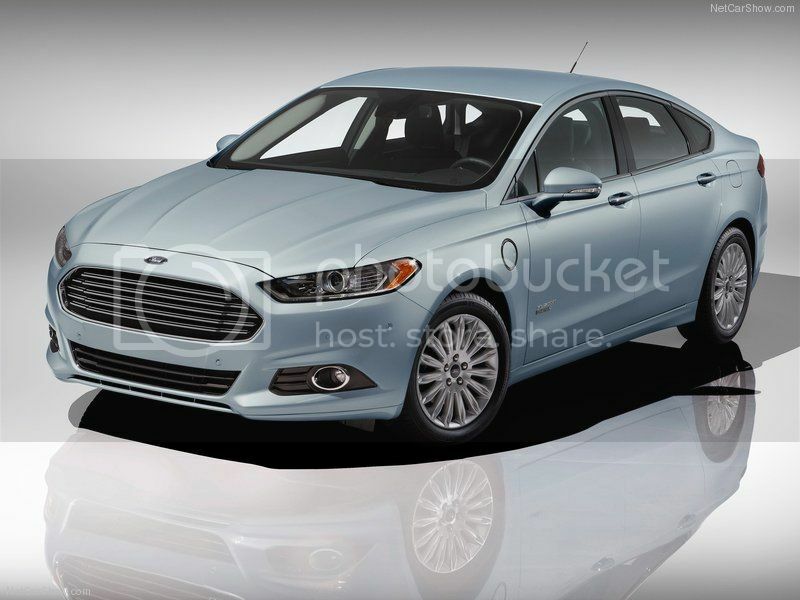 The latest Ford Fusion Energi looks just as beautiful.